Grote tas P’ienca. Ideaal als weekendtas, als strandtas…. Multicolor, felrood. Grand sac P’ienca. Comme sac de voyage, sac de plage… Multicolor, rouge vif. Big shopper P’ienca. 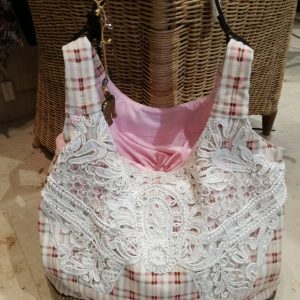 As weekend bag, beach bag…. Multicolor, bright red.